The entire PC industry is in a slump; the data from research firms confirms that there has been a significant decline in PC shipments. A number of different companies rely on the PC industry for their growth, including some major semiconductors and OEMs (Original Equipment Manufacturers). However, Microsoft Corporation (NASDAQ:MSFT) has the responsibility to instigate a comeback through its Windows platform. The software giant is the pioneer of the PC revolution and has played a primary role in shaping the global village we live in today. The company has major stakes in the PC business, and its Windows segment is the leading contributor to the top line at 28%. Microsoft Corporation (NASDAQ:MSFT) has been trying to diversify into handheld devices, but the Windows Phone has not received enough traction. The company has recently partnered with Nokia Corporation (ADR) (NYSE:NOK) to make another attempt at the handheld pie. Windows Phone 8 has been appreciated by the market for having a fresh look but lags behind due to limited ‘application coverage.’ The ‘apps’ have become a basic part of the smartphone experience, and a new platform like Windows 8 will need time to attract enough developers to compete with Android. Despite these shortfalls recent figures show that Lumia sales have finally started to pick up. According to the most recent financial statements, the company has reported a q/q increase of 27% in Lumia sales and has also given forecast of even better growth in upcoming quarters. Microsoft Corporation (NASDAQ:MSFT) recently reported results for the first quarter of this calendar year. The market expectations were not high considering the negative news coming from the PC industry and lukewarm response to the Windows platform. 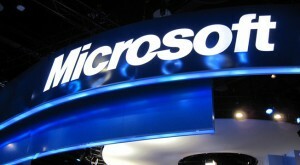 The street was expecting Microsoft Corporation (NASDAQ:MSFT) to post an EPS of $0.68 on revenues of $20.5 billion. The software giant posted an EPS of $0.72 on revenues of $20.49 billion, barely missing the revenue estimates and beating earnings expectations. The primary reason behind the earnings beat was better expense management and high margins on new offerings. The Windows segment also nearly met street expectations with revenues of $5.7 billion as compared to estimates of $5.9 billion. The company recognized revenues of $1.1 billion, which was originally received in June 2012. These were basically prepayments on Window sales which have now been moved to ‘earned’ and are visible on the top line.